We are a well-established hospital with a proud tradition of training and supporting staff to provide excellent clinical care. Located on the North East Yorkshire Coast of England, Scarborough is a busy hospital, big enough to provide you with a variety of career opportunities but also small enough to feel friendly and supportive. Our hospital has an Accident and Emergency department and provides acute medical and surgical services, including trauma and intensive care services. We are a proud partner of the Hull York Medical School and provide clinical placements and training for future doctors. We also work with neighbouring universities, including the new Coventry University (CU) campus in town, which supports the training and development of a whole host of health professionals. As one of eight hospitals managed by York Teaching Hospital NHS Foundation Trust, there are other opportunities for development across the Trust’s specialist centres. Whether you’re a doctor, nurse, radiographer or other trained health professional looking to make a fresh start somewhere new, we guarantee you a warm welcome as a much valued member of our multi-disciplinary team. Every year, we support health professionals to relocate to the area and start work with us. Few if any ever look back. “I was offered a Staff Nurse position and was welcomed to the hospital. I moved from Singapore. When I landed in Heathrow there were Matrons waiting for me and a bus ready for me to jump aboard. There was also a welcome party a few days later where I met with other nurses and could talk about anything. There was also accommodation provided for me whilst I found somewhere to live. Since starting the most noticeable thing for me has been just how much my English has improved. Career-wise, I have been promoted to Deputy Sister which has been a rewarding achievement for my career. "I came, not knowing anyone and having no place to stay – but from the front doors, the willingness and warmth of the staff was apparent. Everyone seemed ready to help and was polite. The clinical work is intense but the Consultants and Registrars are very kind and warm and willing to teach. Everyone is genuinely interested in helping you learn and develop in your career and there is room to participate in audits and quality improvement projects. Medical staff have access to Clinical Supervision, Postgraduate training opportunities and paid study leave. 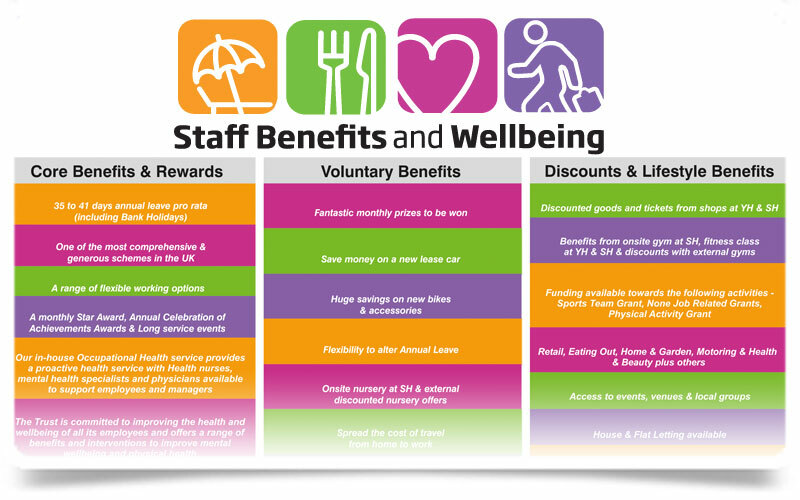 We support staff throughout their career to work in the most effective way they can, by offering opportunities for learning and development, from our dedicated Organisational Development and Improvement Learning team who work with staff from all departments covering every role, across the whole organisation. To submit an expression of interest and arrange an introductory discussion, or to find out more about the opportunity, simply click here. You can also view more information about what vacancies we have to offer by clicking here. Rural communities, seaside resorts and affordable houses! Scarborough and Ryedale is an area of stunning contrasts offering traditional seaside resorts, thriving rural communities and some of the finest market towns in the country. The North York Moors has many quiet communities in its pretty towns and villages, where you will be within easy reach of miles of magnificent countryside. With a wealth of historical gems - ancient castles, ruined abbeys and stately homes you will never be short of places to explore with a host of outdoor activities and visitor attractions to experience. The area is easily accessible by car and well connected with main roads and motorways. Train services run from all parts of the country to York and Leeds where connections can be made to Scarborough by TransPennine Express services. The nearest airports are Leeds Bradford, Doncaster and Sheffield with Manchester Airport slightly further away but served by a direct Transpennine Express rail connection into Scarborough. The North York Moors National Park is an area with a hugely varied landscape which offers stunning countryside, dramatic coastline and beautiful towns and villages. Woodland, moorland and rivers can all be enjoyed in a region which attracts geologists from all over the world. 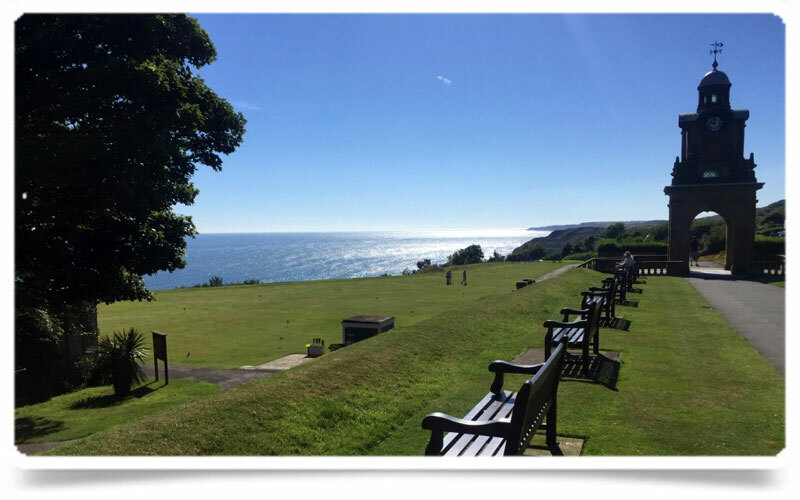 The area has a wonderful coastline, with the traditional resorts of Scarborough and Filey offering stunning beaches, spectacular cliffs and many seaside attractions for families to enjoy. Within the North Yorkshire County Council catchment area there is over 52 primary schools and 16 secondary schools and colleges. In the independent sector Scarborough College is an independent day and boarding school for boys and girls aged 3-18 years. Outdoor productions are held at the Stephen Joseph and Scarborough Open Air Theatres with comedy and music events held at the Victorian Scarborough Spa. Scarborough Castle homes objects from 3,000 years of history and is the only place in the town to enjoy fantastic views of both the north and south bays of Scarborough. Castle Howard, a spectacular 18th century palace with one of Britain’s finest gardens, houses important collections of furniture, paintings and porcelain plus acres of parkland. North Yorkshire is great for independent shops. There are many farms shops selling seasonal produce, and places where you can buy from local artisans. The area has many fine options for dining with excellent village pubs, contemporary restaurants, bistros and country inns. Malton on the edge of the Howardian Hills is Yorkshire's Food Capital and the Malton Food Lovers Festival and Monthly Food Market has top delis, bakeries, butchers and fisheries. York Teaching Hospital NHS Foundation Trust is currently inviting expressions of interest from healthcare professionals interested in finding out more about this compelling opportunity. Submit the enquiry form below and we will be in touch with you to arrange a convenient time for discussion. Success! Your contact details have been submitted successfully. First Name * * Please enter your first name ! Last Name * * Please enter your last name ! Your profession * SelectDoctorNurseAllied Health ProfessionalOther * Please select your profession ! Contact Telephone Number * * Please enter your Phone! * Please enter only numeric value ! In which country did you complete your training? * SelectAustraliaFranceGermanyIndiaNew ZealandPortugalPolandSpainOther * Please select country ! In which country are you currently working? * * Please enter working country ! Have you previously undertaken an Academic level IELTS test? * SelectScored 7.5 or aboveScored 6.5 or aboveScored below 6.5Have not done IELTS * Please select IELTS Test ! Have you previously worked in the NHS? * SelectYesNo * Please select NHS ! Do you hold professional registration in the UK? * SelectGMC, with a License to PracticeGMC, without a License to PracticeNMCOtherNo * Please select General Medical Council! When would you be available to relocate to the UK? * SelectAs soon as possibleWithin 6 monthsWithin 12 monthsWithin 18 monthsWithin 24 monthsOther * Please select Relocate Uk ! * Please select Relocate Uk ! For all enquiries about vacancies at York Teaching Hospital NHS Foundation Trust, please contact our Medical Staffing Team.